Just bringing you an update from one of our BTSALP long term projects! This project is “in the works” so keep checking back to see the progress. Laurie Shea, BTSALP Visual Art specialist, is working on a large scale, permanent installation for the open foyer at Beacon Heights Elementary in Salt Lake City. 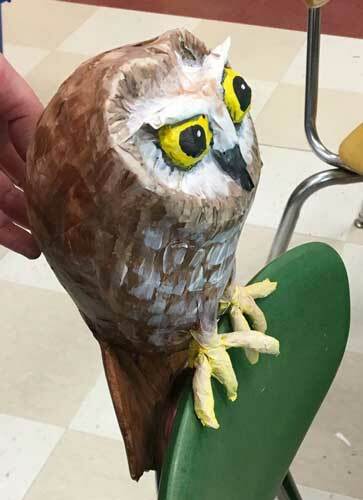 She started with the sixth grade and the paper mache Birds of Prey. She is now working with the lower grades. Each grade level is creating a different type of bird that will be hanging as part of the installation. Kindergarten students used Styrofoam balls, pom poms, beads, feathers and glue (Of course they did, it’s SO Kindergarten!) 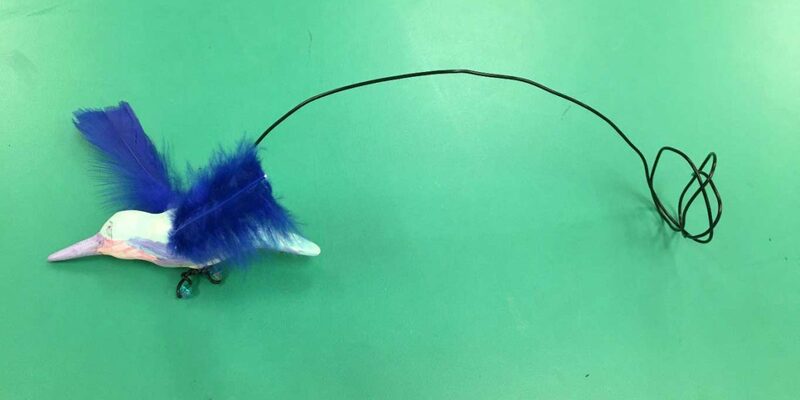 to make whimsical birds that will hang in groups. First graders used air dry clay and feather to create hummingbirds for the installation. Second graders are constructing Common Yard Birds of Utah. They had 6 choices: Magpie, Cardinal, Blue Jay, Stellar Jay, Red-headed Woodpecker or a Western Tanger. These are made with thin craft foam and painted details. When they are assembled they have a 3D appearance. Look closely, that’s Laurie holding an assembled Cardinal. 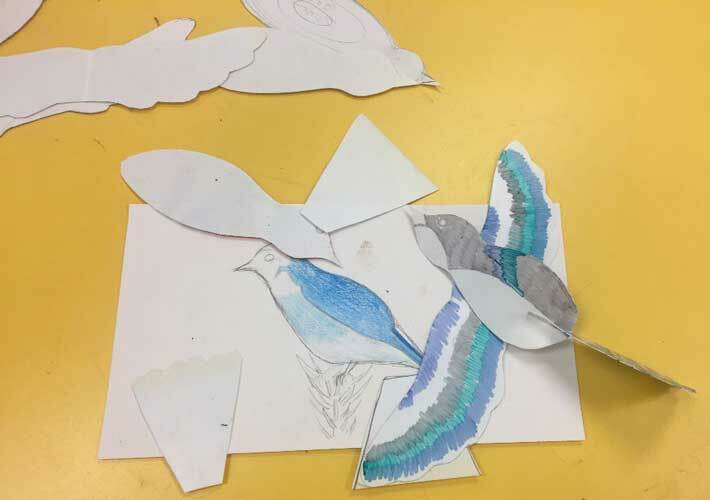 Third grade is also working on Common Yard Birds but their projects are smaller Common Yard Birds such as Finches, Blue Birds and Chickadees. Wild, Wacky, whimsical Wetland Birds are the fourth grade’s contribution. The birds start with empty water bottles and details and paint are added as the birds develop. Laurie again, on the left, measuring wing construction from a section of a cardboard box that will be added to the painted body. Sixth grade Bird of Prey just hanging around waiting for his wings! The fifth grade’s Robot-Doodle-Bot Quails are still in the “incubation stage.” Stay tuned! hats off to anyone doing paper mache’. I once did it with 3rd graders, making Utah fish….in the fall, outside, cold hands! They turned out great but brrrrrr…..and another time made bugs with Kindergarten..again….great, but both were once in a lifetime never to be repeated experiences. Can’t wait to see the whole thing. Maybe they’ll migrate to Moab!